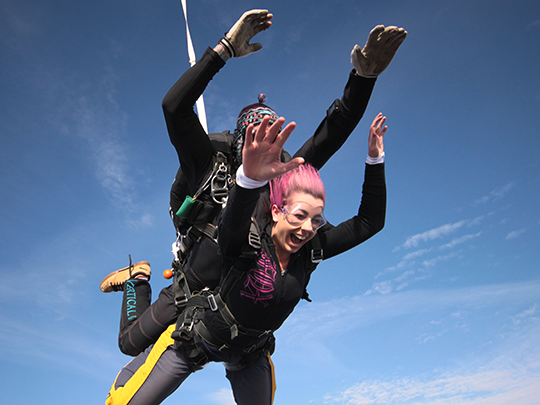 15-minute briefing, telling your everything you need to successfully complete your skydive! First jump certificate and discount voucher! Video and photo packages available - pick a date and choose Book Now to see all the options! All skydivers must be 12 years of age or over, if you are under the age of 18 you will need parental consent. Weight limit is 95kg for safety, we can accomodate up to a maximum of 100kg, subject to a surcharge on the day. See Terms for full details.